We are also dropping a commemorative "Covers Only" Issue this month to compliment the anniversary issue with the gorgeous Lorelei Lee on the cover. 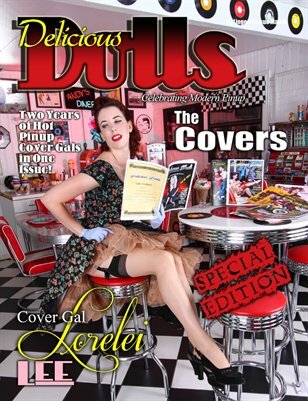 We also have a special edition cover showcasing the lovely Eyva Mort who was the grand prize winner of the 2013 Rockabilly Rumble Pinup pageant. Go pick up your copy today! Thank you all for the continued support over the past two years. We couldn't do it without you guys.